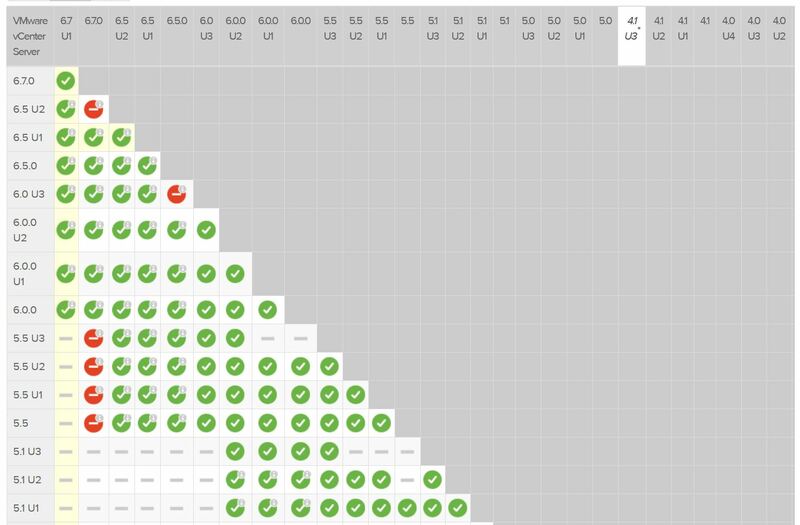 The HTML5 based vSphere Client, now fully feature rich. The HTML5 Client has this cool Dark theme now also, an awesome reason to upgrade. Check out the upgrade path found on the VMware Product Interoperability Matrices page. With vCenter Server 6.7 Update 1, you can move a vCenter Server with an Embedded Platform Services Controller from one vSphere domain to another vSphere domain. Services such as tagging and licensing are retained and migrated to the new domain. For more information, see the vCenter Server Installation and Setup Guide. 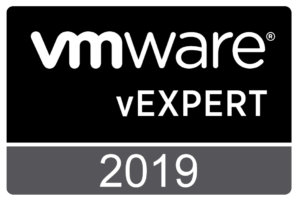 vCenter Server 6.7 Update 1 adds screening for issues in your vSphere environment that proactively provides links to relevant VMware knowledge base articles. For more information, see Check vSphere Health in vSphere Client. vCenter Server 6.7 Update 1 adds support for virtual machine (.vmtx) templates in the Content Library Service. vCenter Server 6.7 Update 1 adds a CLI tool to convert instances of vCenter Server Appliance with an external Platform Services Controller instances into vCenter Server Appliance with an embedded Platform Services Controller connected in Embedded Linked Mode. Burst Filter: vCenter Server 6.7 Update 1 adds a Burst Filter to manage event bursts and prevent the database of vCenter Server from flooding with identical events over a short period of time. 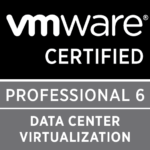 vCenter Server 6.7 Update 1 supports VMware vSphere vMotion between on-prem systems and VMware Cloud on AWS. You can use either the vSphere Client or vSphere Web Client, or the API. To enable the feature, you must upgrade the source on-prem vCenter Server system to vCenter Server 6.7 Update 1 and ESXi 6.7 Update 1. With vCenter Server 6.7 Update 1, you can import Open Virtual Appliance (OVA) files in a Content Library. 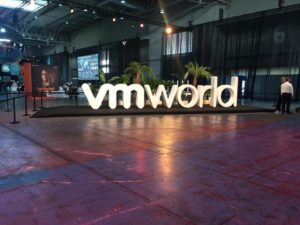 The OVA files are unzipped during the import, providing manifest and certificate validations, and create an OVF library item that enables deployment of virtual machines from a Content Library. With vCenter Server 6.7 Update 1, you can restore external Platform Services Controller instances which are replicating data with other external Platform Services Controller instances. This includes restore of external Platform Services Controller instances in all topologies supported in replication mode. The external Platform Services Controller being restored syncs with active peers or if no replication partner is available, it is restored to a backed-up state. 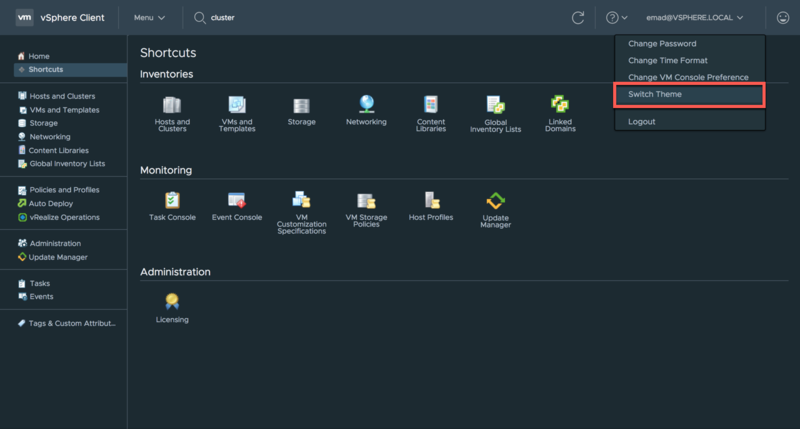 Create and Extend Hyper-Converged Infrastructure (HCI): The Create/Extend HCI cluster feature provides a guided user experience for configuration of vSphere and vSAN clusters. The feature also delivers a centralized wizard experience, embeds best practice, and automates repetitive operations. With vCenter Server 6.7 Update 1, users with vCenter Single Sign-On administrator privileges, who are part of the SystemConfiguration.BashShellAdministrator group, can access and manage the vCenter Server Appliance by using the Bash shell. vCenter Server 6.7 Update 1 supports Windows 2016 Active Directory. vCenter Server 6.7 Update 1 adds support for configuration and monitoring of vCenter High Availability by using the vSphere Client. With vCenter Server 6.7 Update 1, you can change color schemes in the vSphere Client to display the interface in a dark theme. AppDefense vCenter Server Plugin: vCenter Server 6.7 Update 1 introduces VMware Appdefense as an integrated component of vCenter Server. The AppDefense vCenter Server Plugin provides aggregated security metrics, visibility, and health statistics for applications and workloads running on vSphere. AppDefense lifecycle management: vCenter Server 6.7 Update 1 supports one-click, integrated installation and upgrade workflows for AppDefense directly within vCenter Server. For more information, see the AppDefense Installation Guide with vCenter Server Plugin. AppDefense virtual machine monitoring: vCenter Server 6.7 Update 1 supports AppDefense behavior monitoring for visibility, security assessment, and troubleshooting directly within vCenter Server. For more information, see the AppDefense User Guide. Check out the Known Issues. Next Next post: vSphere 6.7 – How to Upgrade.